Daria and her music speak to our mission, here, at World Moms Blog, and she has also supported our #Moms4MDGs campaign. 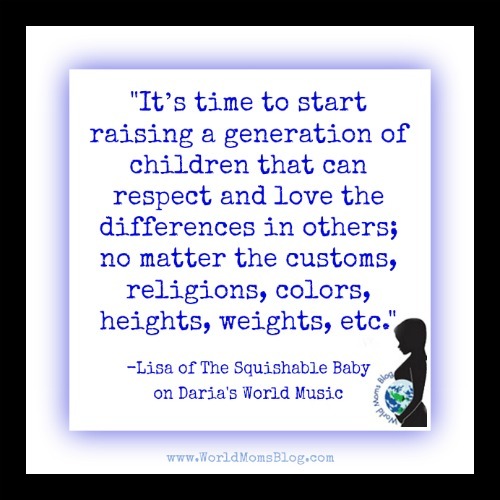 We recently invited her friend, Lisa from The Squishable Baby, to give us the full scoop on Daria’s World Music! Have you ever been in the car and a song comes on the radio that brings a huge smile to your face? No matter what mood you are in – good, bad or indifferent – you feel totally at peace and happy. And if you could just bottle up that song and play it over and over, you would? Have you met someone who must have a voice from Heaven? Whose beautiful voice advocates peace, tolerance and love. Someone whose voice celebrates the human experience in all its differences? I am lucky enough to know someone like that. 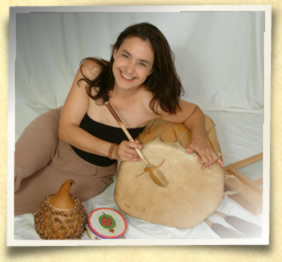 Daria Marmaluk-Hajioannou makes children happy through her music that advocates peace, love, and multiculturalism. As a homeschooling family where art and music are at the core of our curriculum, it’s easy to see how Daria makes such an important contribution to this world. You go on her website where there are a myriad of resources for you to teach, enjoy and spend quality time with your children. I can’t think of anything better than someone whose very foundation and message is love. And she does it in a way to educate about others and celebrates everyone’s differences. We listen to Daria’s CDs in the car all the time. The kids know the songs by heart. They are written in different languages and are about different topics but all of them have the same undertone; to love one another and to celebrate the differences (whether good or bad) that exist in each one of us. This is the message all children should be receiving in a world that screams intolerance. It’s time to start raising a generation of children that can respect and love the differences in others; no matter the customs, religions, colors, heights, weights, etc. These are the messages in Daria’s songs. Daria has become a part of our lives and our homeschool in a big way. We use her website a lot. When I am teaching about a subject or an area of the world, we listen to music from that area. We look at art, and then we see what Daria has in store. Daria always has fun crafts, coloring pages and special songs available on her website. It’s there and free for everyone. The items on Daria’s website are so fun and enriching for children … and adults. I learn just as much from Daria as the kids do. The most important thing is that we do everything together. It‘s a way of bringing our family together. Here are examples of crafts we made from Daria’s website. 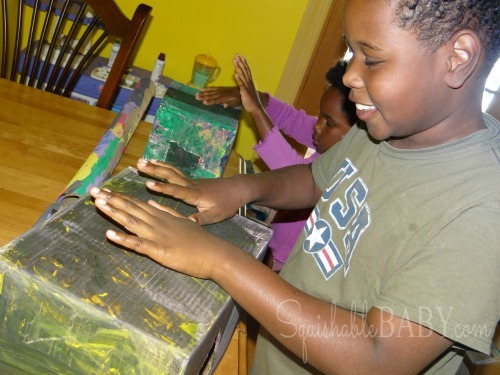 The kids had fun making and playing a Cajon and a Didgeridoo (instructions given on Daria’s Website) from Peru and Australia, respectively. The instructions were clear and also allowed for some innovation and creativity! Check out all the fun we had making and playing the instruments. You can see the full review I wrote about Daria here. For the last 20 years, Daria has traveled the globe sharing her music of hope, love, multiculturalism and tolerance. In the United States she has won several national awards; including, The National Association for Parenting Publications Award (NAPPA), a Parent’s Choice Award, and a Children’s Web Music Award. Her songs have been used in educational curriculum the world over, including Australia (respecting others), South Africa (teaching on tolerance) and the United States (a special song written to celebrate the life and legacy of Dr. Martin Luther King, Jr.). Love Daria’s music and love this post! Thank you, Lisa! It gives me hope for the future of humanity because (if enough children are raised respecting and loving the differences in others; no matter the customs, religions, colors, heights, weights, etc) there is a chance for World Peace! Keep doing what you’re doing, World Moms – the future of this planet depends on it! Thank you, Daria, for leading the way! Oh how wonderful to read this! I love Daria and her music- she was very kind to send me a CD with her songs and I love them they’re very soothing and happy and multicultural and she has a beautiful voice! Thanks for introducing me to Daria – she sounds wonderful!